This program includes a preface read by the author. In 1915, Sherlock Holmes is retired and quietly engaged in the study of honeybees when a young woman literally stumbles into him on the Sussex Downs. Fifteen years old, gawky, egotistical, and recently orphaned, the young Mary Russell displays an intellect to impress even Sherlock Holmes - and match him wit for wit. Under his reluctant tutelage, this very modern 20th-century woman proves a deft protégée and a fitting partner for the Victorian detective. Professor Anne Waverly teaches religious studies at a respected university. Middle-aged and slightly lame, she spends her days in lecture halls and offices. But occasionally, she works for the FBI. As Ana Wakefield, an eager seeker of higher truths, she infiltrates cults. Now, leaving the security of academia, she is on her way to Arizona in a battered VW bus. Using a premise pulled from the headlines - the very real vulnerability of students and teachers - the best-selling author of the Mary Russell mysteries delivers a contemporary novel of psychological suspense. The various presenters at a local school career day prepare for a day in class, not knowing that someone with a thirst for revenge is in their midst. 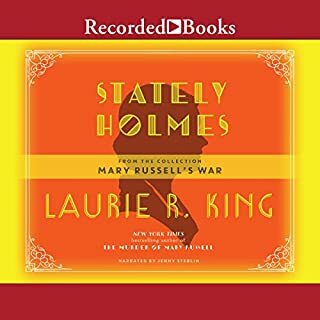 From the collection Mary Russell's War, "Stately Holmes" delivers the author's signature blend of narrative mastery and historical detail while shining light on previously unexplored corners of the Russell-Holmes universe. Laurie R. King blends her long-running brand of crime fiction with historical treats and narrative sleight of hand. By the 21st century, bombs and a deadly virus have reduced the male to female ratio to 1:10. Now what was America is ruled by tribes of woman warriors. Dian guards over her village and its people. But when strangers arrive with a precious gift and a request for aid, she must embark on a journey that leads her far from safety. 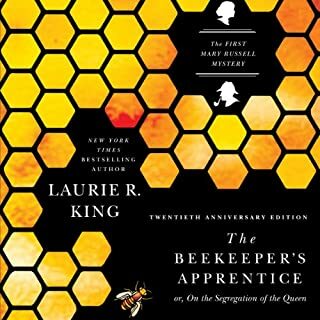 Famed for her Mary Russell mysteries and novels featuring Kate Martinelli, New York Times best-selling author Laurie R. King has amassed a large and devoted following. 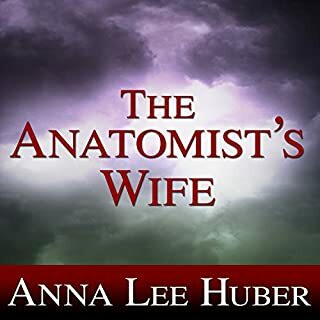 His existence shattered by the Great War, Bennett Grey is investigated by an American agent who thinks he may be useful for protecting national security. U.S. Bureau of Investigation agent Harris Stuyvesant's first inclination is to let his fists do the talking. But he's well out of his jurisdiction, having traveled across the Atlantic to dig up clues on an Englishman he believes responsible for terrorist acts in the States. After turning up a lead that draws him from London far into the English countryside, Harris meets Bennett Grey, a shell-shocked veteran whose war wounds left him with a unique talent that may hold the key to cracking the case. 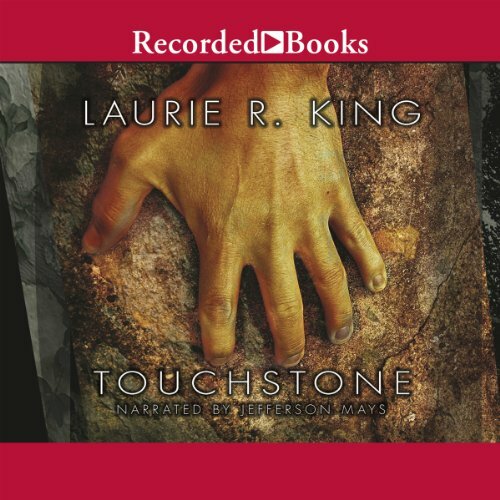 I absolutely love the characters in Touchstone, but I didn't find the story as compelling as some of King's other works. Bennett Gray, the "touchstone" of the title, is meant to be a main character and is surprisingly sidelined in the action. He's there, tagging along at a number of points, but not really part of the action if that makes sense. This is a disappointment as he's more interesting than some of the others, but it also makes for a bit of awkwardness as you wonder just what the point of him is at times. His unusual skill in heightened awareness or rapid cognition aren't really used in the "dectection" of the mystery, but rather as a secondary plot. Lead dectector, Harry Stuyvesant, is also complex and likable, plus there's a good, if somewhat obvious, villain. The weak point here is the plot. Unfortunately, the end doesn't really surprise. This is in part because the lead suspect is a) announced as such from the start, and b) gets very little screen time. And there are very few other options as to who it might be. The main plot detours from it's original focus, and the secondary plot doesn't tie in well, so it's a bit of a jumble in places. In the end, you want to know more about the characters, want to know what happens to them next and really want a better book for them ??? all of which is happening as King says "The book I'll be writing this year  is set in Paris, 1929, and is about some of the characters from Touchstone." Jefferson Mays was a fine narrator, though something felt "off" to me about his voice for Bennett Gray. Nothing specifically wrong with it, but just not how I "hear" Bennett. And his voice for American Stuyvesant was a good effort, but sounded stilted especially with Harry's constant use of slang. Very good story, a little slow in places. Like all of Ms. King's stories, this one unfolds slowly and deliberately. Usually this serves to build suspense, but it didn't work so well in this story. There were a few places that I found rather tedious and just couldn't wait to get past. Overall, though, it is a good story, rich with scenic detail, history, and interesting characters. Narrator Jefferson Mays did a very good job with the material. He has a strong masculine voice, but was still able to do the female voices convincingly. He carried off the various British accents very well. I am a big fan of this author. I've enjoyed so many of her audiobooks but this one lacked tension. It just sorta lagged. There was no excitement, no characters I fell in love with, just sorta bland... I liked it enough for three stars. The story rambles a bit. I liked Bones of Paris better, but they're both excellent. The longest chatter that never went anywhere. Will it ever end! Never again. Pointless. Horrible! Laurie R King is a gifted writer; her stories reveal her brilliant mind every time. I will happily jump into her story web whenever she chooses to weave another! A great story is not always gifted with excellent narration but this time listeners are doubly blessed. Jefferson Mays changes characters seamlessly and allows us to devote ourselves to the story without giving the narration a thought. That is the highest compliment I can give a narrator! I enjoyed the complexity and length of this book. Clearly researched and chock full of period detail. I will listen to the next in the series. 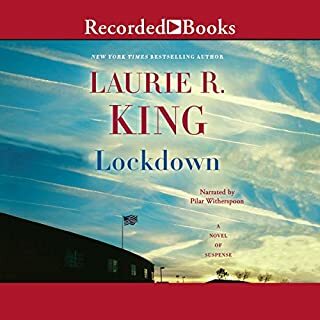 I love how Laurie R. King can bring you to the edge, the heavy of heavy thoughts and feelings and can intellectually bring you right back out. Clever book. I like both characters and plot and the slow build to unexpected conclusion. Plus the author where your appetite for the next book in this series. Well written & beautifully drawn characters. Well written, beautiful & complex characters, most enjoyed listen even though this is the second time I've readied this book. I want more!! Will there be a General Strike? 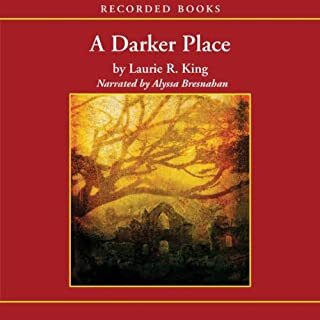 Laurie R King's book, as in several of her other books, centres around the First World War. It takes place in 1926, just before the General Strike, but all her characters have been affected by the War. Her main character is an American Bureau of Investigation agent, in England to track down an anarchist bomber. 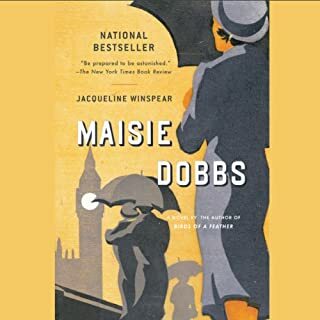 It is a story involving the rich and radical, with country house weekends, beautiful and dedicated women, a deeply injured officer, a really unpleasant English bureaucrat and a charismatic supporter of the working class. All read beautifully by Jefferson Mays.